Two great Stock Yards® steaks in one, our Porterhouse is big, bold, and doubly delicious. You get a flavor-filled New York Strip on one side and a tender Filet Mignon on the other. 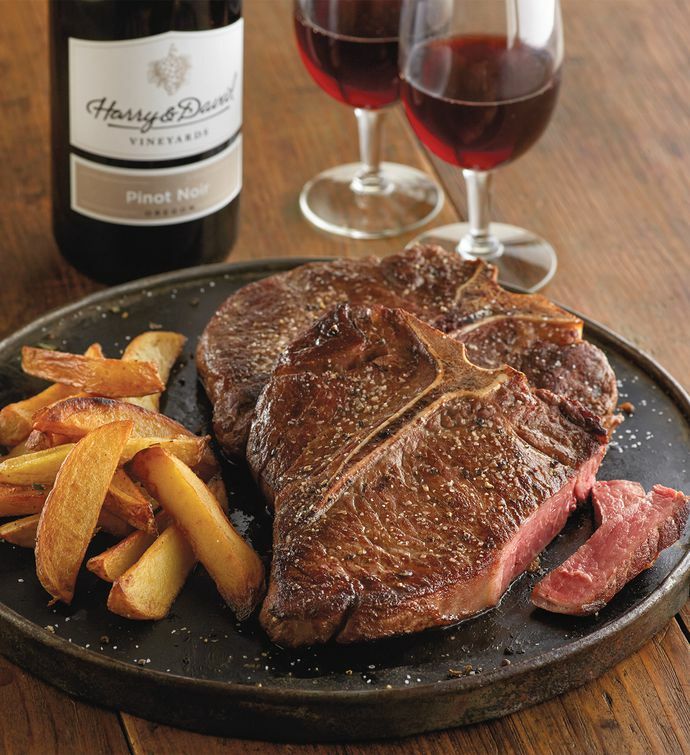 Wet-aged to perfection, this cut is USDA Choice-certified and arrives accompanied by a bottle of Harry & David™ Pinot Noir.